Firstly before I get into this post, I’m sorry there was no Top Ten Tuesday post last week. I didn’t want to do last week’s topic because I just didn’t have much to say on it and I’m worrying a lot more about the quality of my blog instead of how many posts I have. Now onto this week’s post. This list was incredibly hard for me to compile simply because I have read so many amazing books this year. I’ve kicked my reading game up a notch this year so obviously I’ve read a crap ton of amazing books. However, I did it. I made my top ten list. This is going in descending order with my ultimate favourite book so far this year at the bottom. If you want to know more about each book click on the title to go to their goodreads page. 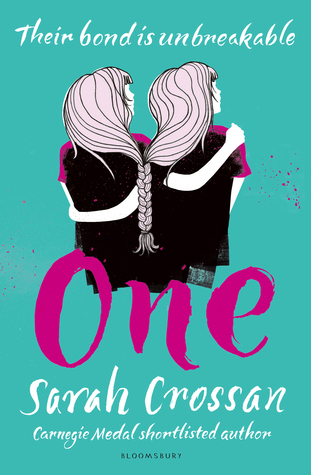 My tenth favourite book that I’ve read so far this year is One by Sarah Crossan. I only recently read this book but I fell completely in love with it. It is a short book that is told entirely in verse so it is very quick to read but it deals with something that has never really been dealt with before in YA. The writing was beautiful and just exquisite. I really loved this book so you guys should definitely look out for it when it comes out in August. My review will be coming up at some point in July. 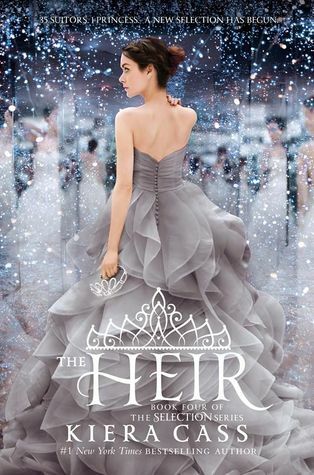 My ninth favourite read of this year was The Heir by Kiera Cass, which is the fourth book in the Selection series. This series gets a lot of hate for various reasons that I completely understand but I personally love it. It’s a great series that is incredibly entertaining and gripping. I read each book in a night. I was a bit wary going into the Heir because it follows a different character than the first three books in the series however it was amazing. It may have even been better than the previous books. I completely fell in love with it. 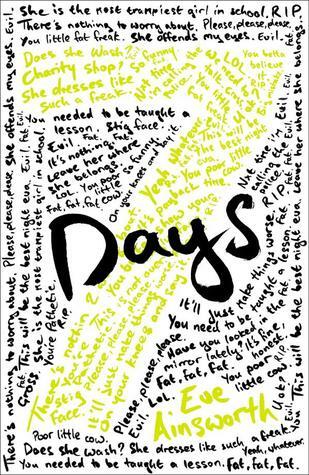 My next favourite read of this year was Seven Days by Eve Ainsworth. I was incredibly excited for this book before it was released and it did not disappoint. It is a short book but it hits you and it teaches you a lot. Eve Ainsworth somehow managed to tackle the subject of bullying perfectly and I can’t wait to see what else she writes. The writing was just amazing but the characters were what made this book amazing. Each character was developed perfectly and you sympathised with them all. If you want to read my review of this book, click here. The next book on this list is Vanishing Girls by Lauren Oliver. Lauren Oliver is an author that most people have heard of but most people either love or hate her books. 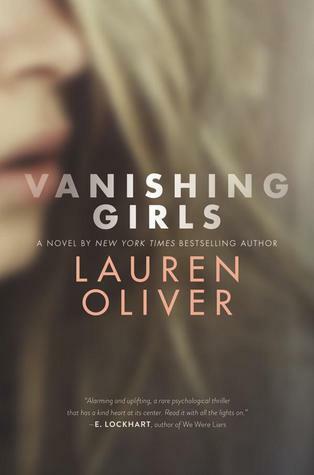 I really liked her Delirium trilogy so when I got a copy of Vanishing Girls, I knew that I had to pick it up immediately just to see what I thought about it without everyone else’s opinions affecting me. I completely fell in love with it and it is my favourite book by her now. The mystery aspect was great and the writing was as beautiful as always. I loved everything about this book and it saddens me deeply how most people aren’t giving it a try due to her other books. This is definitely her best work. If you want to know more, click here for my review. 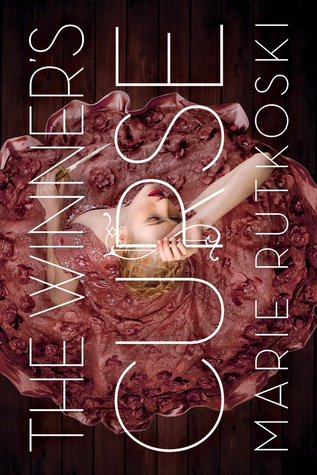 This next book is a recent read of mine and that is The Winner’s Curse by Marie Rutkoski. I have wanted to read this book since it came out so I finally bought it and read it straight away. I hate myself for not reading this book a year ago. I read both books in this trilogy back to back and whilst most people prefer the sequel, I love the first book a little bit more. This book has a great fantasy setting that will capture you straight away. The romance in this series is very slow burning despite the fact that it is a very key part in the novel. I am dying for the third book now because I just need to know what happens to Arin and Kestrel. 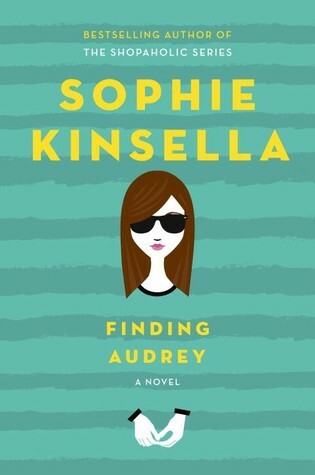 My fifth favourite book of the year so far is Finding Audrey by Sophie Kinsella. I have previously read some of Kinsella’s work but nothing lives up to this book. This is her first YA novel and it follows a girl with social anxiety. I think this issue is dealt with perfectly in the novel and it is obvious that she has done her research. While it is a romance, the best part of the book for me was definitely the family aspect of it. I loved how crazy Audrey’s family were yet they all still had this deep love for each other. If you want to see my full thoughts on this book, click here for my review. 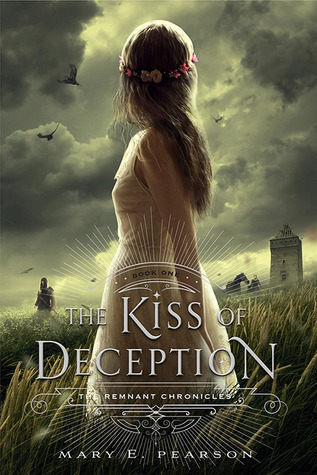 The next book on this list was actually my first read of the year and that is The Kiss of Deception by Mary E. Pearson. This book is extremely popular in America so I knew that I had pick it up and I’m so glad I did. There is an air of mystery to this book because there are two male leads. One is a prince and the other is an assassin. As the reader we do not know which one is which (I correctly guessed though :P). It is set in a fantasy world that is just so intricate and thought through. I loved everything about it especially the main female lead, Lea. I also did a whole review on this book so click here for that. 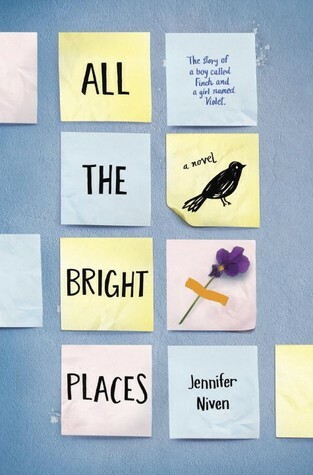 My third favourite book of the year so far is All The Bright Places by Jennifer Niven. I read this book back in January as soon as the book came out(and before all the bad reviews started coming in) and I absolutely fell in love with it. I still love it to this day despite all the terrible reviews. It was a completely perfect and amazing novel that dealt perfectly with mental health in my opinion. The writing was so incredibly beautiful as were the characters. It brought me so close to tears! Click here if you want to see my review. 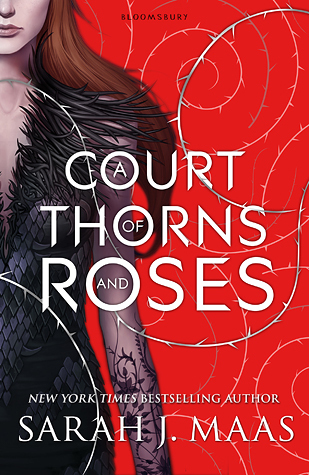 My next favourite is also a book that has recently been receiving a lot of negative reviews and that is A Court of Thorns and Roses by Sarah J Maas. I have loved all of Sarah J Maas’ previous books so I knew that I had to pick up ACOTAR and I’m so happy I did. It was a perfect novel in my opinion because it had a great fantasy aspect, a brilliant romance, beautiful writing and it was intense and gripping. I completely fell in love with this book as is evident in my review. 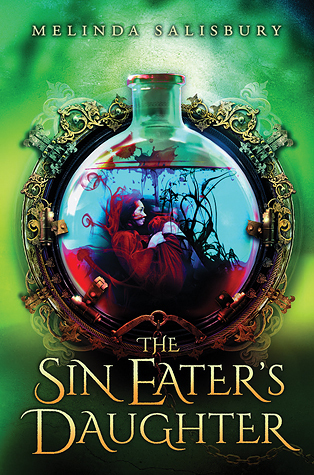 So if you follow me on Twitter or just know me at all you can probably already tell what my favourite book of the year so far is and that is The Sin Eater’s Daughter by Melinda Salisbury. I looooooovveeee this book. That’s how fabulous it is. It deserves those extra letters. Melinda Salisbury managed to somehow write a perfect book. I had heard talk about this book beforehand so when I saw it in the shop, I immediately picked up the book and started reading it. And I didn’t stop. The best thing about this book? It’s the most intense and gripping book I’ve ever read. Basically every chapter ends with a cliffhanger and you just need to continue reading. The characters are all amazing(especially Merek. I need more Merek in my life) and the writing is just so beautiful. Who knew such beautiful words could come out of Mel? I very highly recommend this book but if you need more convincing, check out my review. So those are my top ten books of the year so far. What is your favourite book so far? Let me know down in the comments.